Think you can't afford the finer things? Think again. We got the hookup on free opera. 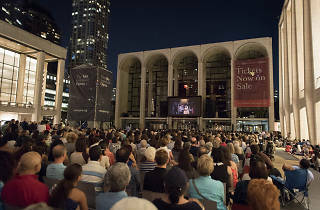 For its tenth summer in a row, the Metropolitan Opera invites you to Lincoln Center Plaza for nightly alfresco screenings of epic performances from previous seasons. 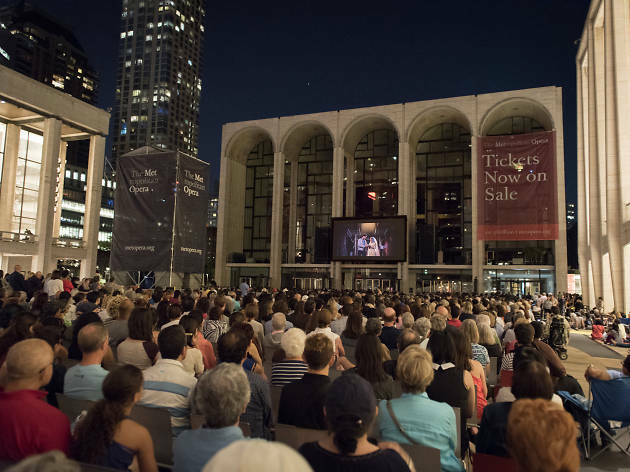 From August 24–September 3, the Met will set up over 2,800 seats in front of the Opera House, where you and your date can eat and enjoy tapes of the shows under the stars.